Movies, Films and Flix has a long history with Dolph Lundgren movies. I started the site in 2010 and wrote ad nauseum about terrible Dolph Lundgren films. In hindsight, the posts weren’t any better than the movies. but I enjoyed writing pithy reviews about real and fake Lundgren movies. When I saw the promotional material for Shark Lake I knew it would be the perfect film to help me reintroduce Bad Movie Tuesday to the populace. 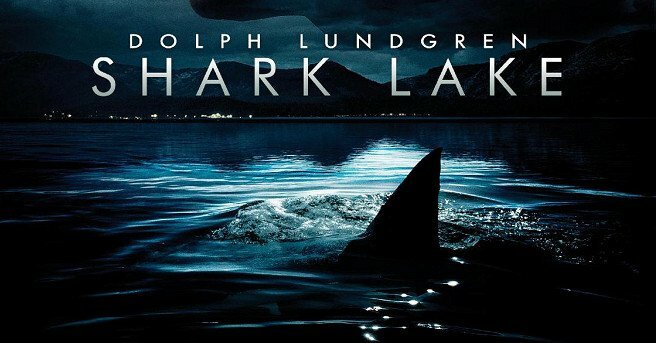 Shark Lake tells the age-old tale of a shark harassing the people who live around Lake Tahoe (filmed in Mississippi). The movie starts with a car chase involving the police forcing exotic animal dealer Clint Gray (Dolph Lundgren) to drive straight into a lake. The bull shark in his van (100% true) escapes, and five years later people start dying. From there, we are introduced to some terrible actors who spout hackneyed dialogue while scantily clad women are killed by a shark. Shark Lake could’ve been a contender but instead falls back into pure stupidity and feels like a beautiful idea (Dolph wrestling sharks) was wasted and replaced by everything that makes a movie bad. 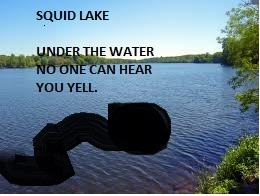 Also, I’m pretty sure they stole my idea for the fake film Squid Lake (Listen to the pod, it gets weird). Shark Lake is a really weird movie. It wants to be Sharknado, but it also tells the tale of a redeemed animal collector. It isn’t dumb enough to be fun, and it is too dumb to be a cohesive movie. The shark(s) are superfluous and the performances are hindered by a script that hurts the soul. Lundgren’s character isn’t done any favors because he is set up as a terribly negligent father who deserved jail time and shouldn’t have a chance of being in his daughter’s life. Also, there is a really odd relationship between a cop and a smart scientist guy that leads to some very disconcerting dialogue involving handcuffs. Shark Lake is the kind of film that doesn’t go far enough to make anything enjoyable. There is a tiny amount of blood and the director never pushes the bikini clad portion far enough. 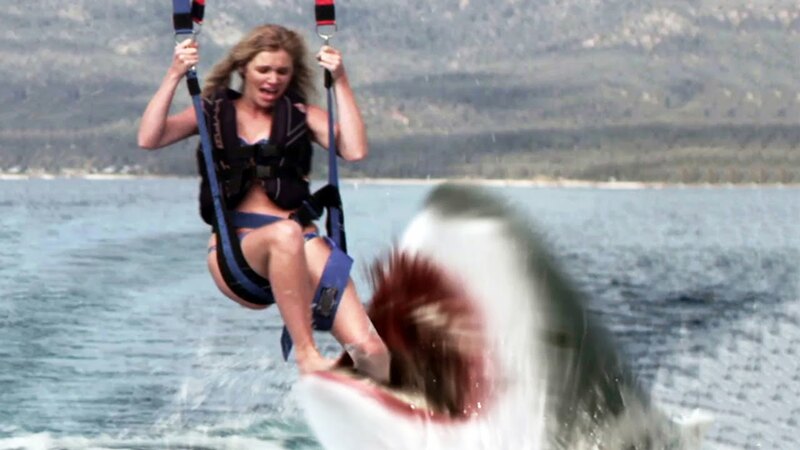 Shark Lake is a PG-13 rated “dumb dumb” fest that only features one person getting their leg bit off whilst gliding over the lake. Don’t watch Shark Lake. It is not fun, and the idea of Dolph Lundgren wrestling a shark is far better than the movie. The budget was reportedly $2 million and I have no clue where that money went. The movie looks like it was shot in two days and nobody learned their dialogue ahead of time. If you are looking for a fun yet terrible shark movie I recommend the classic Sharks in Venice. Sharks in Venice is amazing. You need to watch Stephen Baldwin phone it in.